The SSC5100 is a micro-processor based spreader control used for accurately applying up to four identifiable materials, pre-wetting and anti-icing liquids. 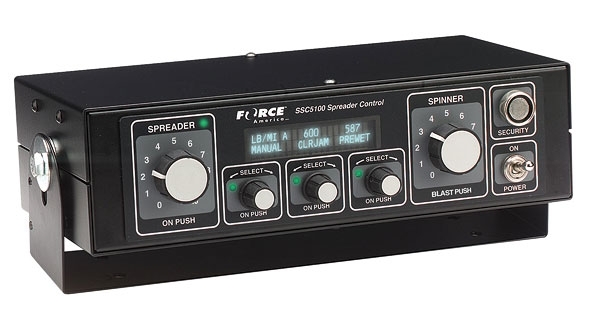 The SSC 5100 can be used in closed-loop, open loop or manual spreading operations. The 5100 is designed specifically for fleets that need to perform storm analysis and maintain application consistency.